Lexile login page. Or log in via Intranet. Lexile instructions. This is an interesting discussion about book summary websites like SparkNotes. It's written by a high school student, which usually means it's not a very reliable source. However, this writer has done research and cited her sources, and the publication itself, The Sun Chronicle, is a legitimate publication, suggesting the editors have reviewed the article and found it has merit. Source: Nicole Dotzenrod. "THE PAGE: Is SparkNotes Just Cheating?" The Sun Chronicle. The Sun Chronicle, 24 Jan. 2012. Web. 16 Sept. 2016. "A large longitudinal study in New Zealand found that persistent marijuana use disorder with frequent use starting in adolescence was associated with a loss of an average of 6 or up to 8 IQ points measured in mid-adulthood. Significantly, in that study, those who used marijuana heavily as teenagers and quit using as adults did not recover the lost IQ points. Users who only began using marijuana heavily in adulthood did not lose IQ points. 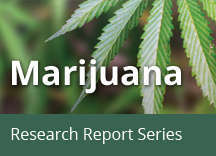 These results suggest that marijuana has its strongest long-term impact on young users whose brains are still busy building new connections and maturing in other ways." Source: "What Are Marijuana's Long-term Effects on the Brain?" National Institute on Drug Abuse (NIDA). National Institute of Health, Aug. 2016. Web. 18 Sept. 2016.